Now that I made a big stock of pumpkin purée I decided to use it further to make pumpkin pie. 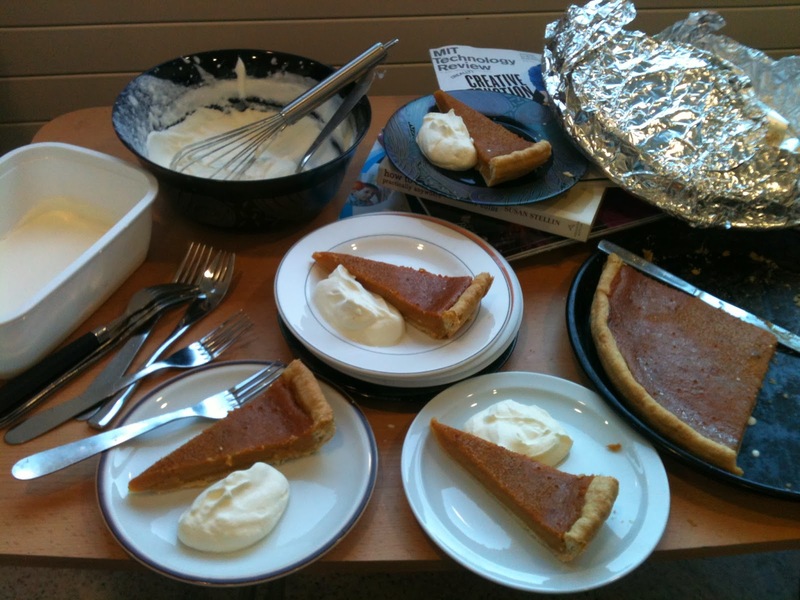 Pumpkin pie is great in November and especially for Thanksgiving, which wouldn't be a proper Thanksgiving without a pumpkin pie. Mix eggs, condensed milk, and pumpkin purée. Add spices and mix. Add sugar and flour and whisk. Roll out pâte brisée* into a buttered and floured pie form. Prick it with a fork and pour the batter in the pie form. Bake in the oven 15 min at 220 C then 50 min at 180 C.
Let it cool down and serve with whipped cream. Mix sugar, salt and flour. Mix butter in the flour with your hands and make crumbs. Add water and mix fast to make a dough. Refrigerate 30 min. Thank you Manuel! I just added a link to the pumpkin purée in the recipe :-) basically you cut the pumpkin, bake it in the oven until soft, peel it, and then mix it. Voilà! 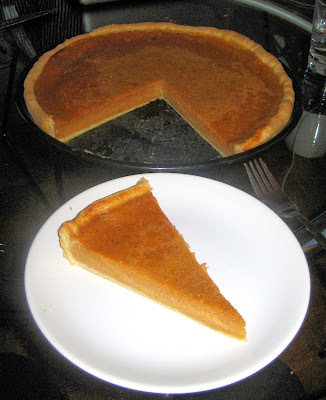 I am sure you can use a butternut squash, the taste will be slightly different, but then again the pie is fairly "spicy" so I don't know how different it will taste. If you try it, let me know!